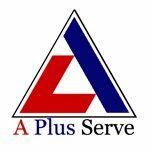 A PLUS SERVE CO., LTD.
A Plus Serve Co., Ltd. is Industrial Computer & Industrial Networking products provider focus on Industrial application. ACCRETECH Thailand was founded in 2011, office was established in Bangna area and we opened a new showroom at Amata Nakhon in January 2018. “Accretech Measuring Center” in Amata Nakhon, Chonburi. Accretech is a manufacturer and distributor of precision measuring instrument for the Automotive industry. ADVANCE BUSINESS SOLUTIONS AND SERVICES CO., LTD.
AOT is a leader of Thailand’s airport business operator. Its main business lines are managing, operating and developing airports. Presently, AOT has 6 international airports under responsibility: Don Mueang, Phuket, Chiang Mai, Hat Yai, Chiang Rai and Suvarnabhumi, all of which accommodate both domestic and international hights. ALLIED TELESIS (THAILAND) CO., LTD.
Allied Telesis is a leading global provider of high-quality, flexible, and interoperable network solutions. Founded in 1987 and publicly held in Japan, the Company operates manufacturing, R&D, support, and sales offices worldwide, servicing customers in key markets including government, healthcare, defense, education, retail, hospitality and network service providers. 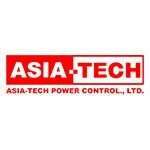 APEX DYNAMICS (THAILAND) CO., LTD.
ASIA-TECH POWER CONTROL CO., LTD.
Asia-Tech power control Co., Ltd. offers total solution in the field of automation, by supplying comprehensive range of “Hitachi” inverter, servo motor and PLC for use in any industry and buildings. With more than 18 years of experience in the field, our team consists of sales and service engineer who will provide all the necessary support, design and consulting to the customer’s needs. Autodesk is a leader in 3D design, Manufacturing, Engineering, Architecture, Construction, and entertainment software. Cerathai has a core policy on conducting businesses with integrity and delivering on promises, as a result, we have been appointed with fully trust by the world-renowed makers as their official representatives. CHIYODA KOHAN (THAILAND) CO., LTD.
We are authorize dealer of Toshiba printer and Ink ribbon.